When it comes to privacy concerns, Facebook is on the same level of offenders as the data-mining giant, Google. If you’ve been following Facebook Inc. in the news over the last year or so, you would’ve noticed that the social media giant has been facing some serious backlash regarding their vague policy changes and overall sketchy privacy practices. 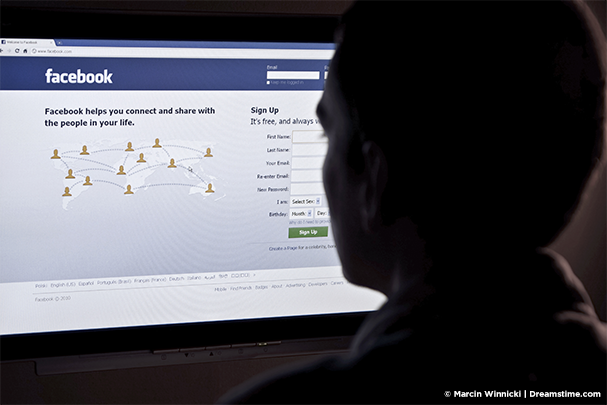 The biggest Facebook controversy began last year, when the social media network was caught tracking online behaviours of non-users. For those not in the know – Facebook used a special type of cookie (DATR) to track everyone through their social media sharing buttons displayed on other websites. In plain english this means that Facebook added cookies to browsers of people that never even had a Facebook account to begin with. Facebook has been using the DATR cookie for over 5 years now, but the company always maintained that it wasn’t tracking non-users. When the story broke in November of last year, Facebook claimed that it wasn’t their intention to track anyone other than their users, and that the incident was simply a bug. After the same behaviour was noticed a few times after that, a commercial court in Brussels ruled that Facebook must stop tracking non-users, or users that weren’t logged in. Facebook then vowed to appeal the decision, ironically citing security concerns. After about eight months in court, Facebook managed to get the ruling overturned. Yesterday, the Belgian data protection authority lost the legal battle on the grounds of not having any jurisdiction over Facebook Inc. in Belgium. Since Facebook’s European headquarters lie in Ireland, there isn’t much that can be done said the Brussels Appeals Court. While this decision certainly marks a big win for Facebook, the story will not end here. The original ruling was mainly rooted on the EU privacy law, leaving a lot of room for other European regulators to bring their own cases against the social network. Two countries that are likely to follow the Belgian example are Germany and the Netherlands. Both nations have been involved in cases investigated by the European task force on the suspected privacy violations on Facebook’s behalf. The other light at the end of the tunnel is the new Data Protection regulation that’s about to go live in the EU. When in effect, the new legislature will apply the same way to every country in the European Union, meaning that Facebook might not be out of the woodwork just yet. That said, it might be up to Ireland to start an investigation against Facebook in order to get the ball rolling. At this point it’s hard to tell whether or not Facebook will face any further legal repercussions in the EU, but time will tell. Is Turkey going to ban Netflix or YouTube? Should VPNs comply with Australian data retention laws? The $64,000 question!